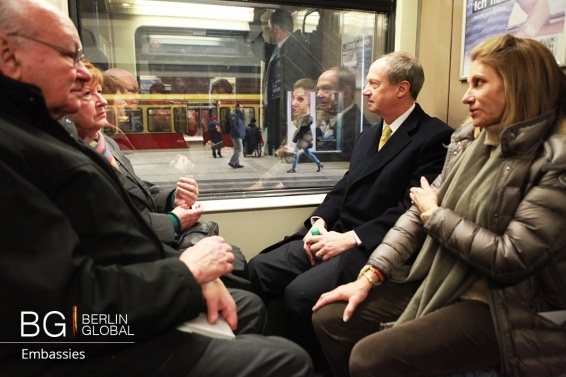 On the 3rd of March the American Ambassador Mr. Emerson and his wife Mrs. Emerson went for a tour of Berlin on the public train Ringbahn. The ride was 23.3 miles long throughout the city centre, passing from the East to the West of Berlin. 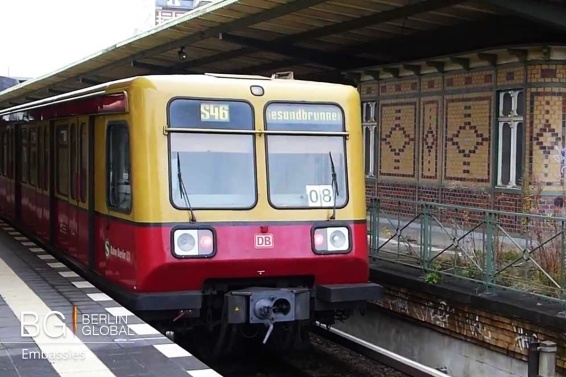 This railway line is very significant from a cultural point of view because it highlights the culture, economy and history of the two sides of Berlin since the fall of the Wall. Together with them was the former mayor of West Berlin, Walter Momper and his wife. Mr. Momper became Mayor in 1989, this means that during his career he attended the opening of the Brandenburg Gate on the 22nd of December 1989, and, on October 3rd, 1990, he became the first Mayor of a reunited Berlin. During the 6-hour tour, he explained and talked about both when Berlin was divided and when it was reunited. The first stop the important visitors made was at the Plaster Molding Studio. This studio was founded in 1819 and it plays an important and valuable role in global cultural preservation since it collected 7000 objects from European and Egyptian art periods. After that, the next stop was Gethsemane, a Church which was built in 1893 and played a crucial role before and during the peaceful revolution in 1989 when it became a meeting point for opponents of the East. Next stop was Storkower Straße where they toured the first large pre-fabricated housing estate in East Germany which was the most commonly built type of residence. Here they also had the opportunity to visit an apartment. After that the final stop of this tour was at the Deutschlandradio Kultur and the Rias Berlin Commission, which are a radio and television station that were in the American Sector of Berlin during the Cold War.